In many parts of the world today, strong pro-democracy attitudes co-exist, to varying degrees, with openness to non-democratic forms of governance. These range from rule by experts, a strong leader, or the military. To what extent does this pose a threat to the future of democracy in general? A recent survey of 38 countries by the Pew Research Center, "Globally, Broad Support for Representative and Direct Democracy" examined attitudes toward various forms of government, including representative democracy, direct democracy and authoritarian rule. The findings showed there are reasons for calm as well as concern when it comes to democracy's future. More than half in each of the nations polled consider representative democracy a very or somewhat good way to govern their country. Dr. Katie Simmons of the Pew Research Center will present the findings of the report on Thursday, February 15 at the Hertie School, followed by a discussion with Hertie School Professor of Applied Methods and Comparative Politics Mark Kayser. Katie Simmons is associate director of research at Pew Research Center. She is an expert in survey methodology and conducts research on international public opinion on a variety of topics, including U.S. foreign policy, the global economy, democracy and terrorism. Simmons helps to coordinate the Center-wide international research agenda and serves as a methodology consultant on all international projects at the Center. She is also involved in all aspects of the research process, such as managing survey projects, developing questionnaires, analyzing data and writing reports. Simmons is an author of reports on the crisis in Ukraine, global economic conditions, life satisfaction and economic reform in Mexico. Mark Kayser is Professor of Applied Methods and Comparative Politics at the Hertie School of Governance. His research primarily focuses on elections and political economy. Kayser’s major projects centre on partisan asymmetries in electoral accountability, media reporting on the economy, and the effect of electoral competitiveness on incumbent behaviour. He is Senior Co-editor for comparative political economy for the Oxford Research Encyclopedia and serves on the editorial boards of multiple journals. 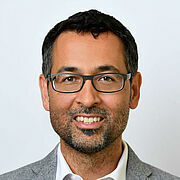 Before joining the Hertie School faculty, he was an Assistant Professor of Political Science at the University of Rochester and was a Postdoctoral Prize Research Fellow at Nuffield College, Oxford. Kayser earned his PhD in 2002 at the University of California, Los Angeles (UCLA). The event is hosted in cooperation with the Pew Research Center.